Many obituaries have been written since Meles Zenawi died on August 20th. So many, in fact, that this is a comment on the obituaries as much as on the man himself. There are many stories about Meles Zenawi. Here is one of them. The year is 1995, and the newly-elected prime minister is getting ready to sit the final exams for his MBA at the Open University. The proctor at the British Council tells Meles (who, like most former revolutionaries, sustains himself on cigarettes) that, unfortunately, he will not be allowed to smoke during the exams. “I am sure you believe in democracy?”, Meles replies. The proctor concurs. “So let’s put that to a vote”. There is a show of hands, and not much later the Ethiopian prime minister lights a cigarette, savouring one of the more marginal successes of his political career. I wouldn’t exactly vouch for the accuracy of this little anecdote. But if it exaggerates, it does so for effect. It captures the essence of the Meles Zenawi we, as more or less distant observers, got to know over the last twenty years: his wit, his confidence, and his willingness to put people on the spot; the sheer boldness with which he played the games of others, but by his own rules; but most clearly perhaps his instinctive talent, honed by many years of Marxist exegesis, to see the political in everything. This primacy of politics was a common thread running through Meles’ short but extraordinarily eventful life, from the 1974 student protests to the Hoxhaist years in the mountains of Tigray, and from the TPLF’s march on Addis to Meles’ later years as a pan-African statesman. 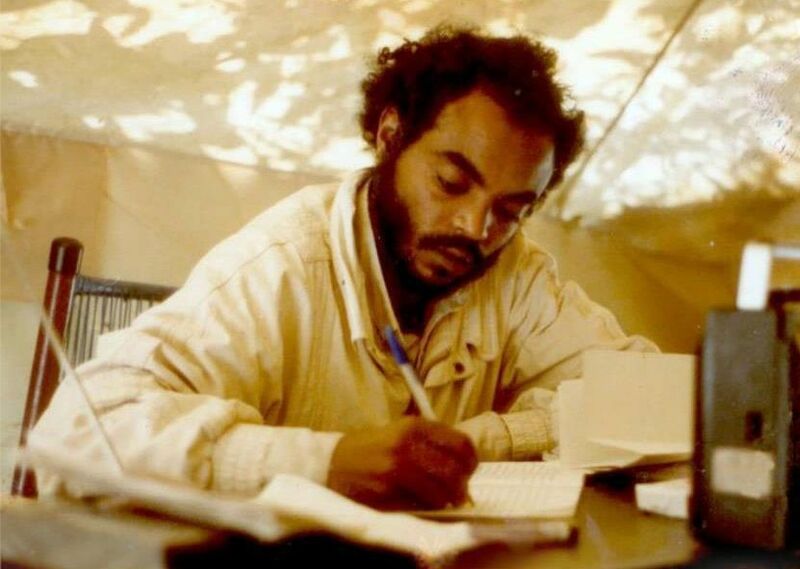 So much so that, when I recently asked someone who knew Meles well about his legacy as a person, not just a political leader, my interlocutor rejected that distinction as artificial: “Meles was a profoundly political person”. I’m not sure all of those who penned his obituaries – the eulogists as much as the detractors – have understood the importance of this point. If there is a consensus among the multitude of voices, it seems to be that Meles left behind a “mixed” legacy, a “checkered” or “conflicted” one: good for the Ethiopian economy (the famous ‘double-digit growth’), less so for Ethiopian politics (the infamous ‘authoritarian tendencies’). What the commentators fail to understand is that, to Meles, these were two sides of the same coin. Development, in his eyes, was primarily a political process, not an economic one. This is why it would be wrong to measure the legacy of Meles’ twenty-year tenure in percentage points. It takes no economic miracle to achieve and sustain growth rates above 5% when you start, as the EPRDF did in 1992, with a per-capita GDP of US$ 204, and billions of dollars in development aid. Ethiopia’s macroeconomic fundamentals – including a drastically deteriorating balance of trade and an inflation rate well above 25% – are also not beyond doubt. And Meles himself was not the managerial type, either: whatever he learned during his MBA, he hardly put it to use. Like many former liberation movements, his TPLF have remained rather skeptical of the private sector, or at least of an indigenous business class that shunned them during their years in the bush. As a consequence, while there have been remarkable success stories, Ethiopia has little of the entrepreneurial spirit or start-up culture that characterise the economic upturn in other parts of the continent. The motors of Ethiopia’s growth are primarily large conglomerates run by the state, the ruling party and close allies. Maybe this is why stories from East Asia can sometimes resonate with students of Ethiopia. One example: in a 2005 article in International Organization, Richard Doner, Bryan Ritchie and Dan Slater argue that, contrary to conventional wisdom, developmental states do not emerge where political and administrative elites are autonomous from society. The opposite is the case: developmentally-minded regimes emerge under conditions of “systemic vulnerability” – a combination of geopolitical insecurity, a lack of easily exploitable resources, and a restive population, all of which force the regime to deliver, and to deliver fast. While the article draws on “tiger states” such as Taiwan and South Korea, it also tells the story of Ethiopia under Meles Zenawi. When Mengistu fled the country in 1991, there was a lot of talk about the disintegration of the Ethiopian state – an end of empire. Given how rapidly the Derg’s institutions of power had imploded, this scenario did not seem at all implausible. Yet while, in neighbouring Somalia, the rebels who overthrew Siyad Barre went on looting Mogadishu, those who had ousted Mengistu started to repair the country’s telephone lines. Twenty years later, Meles claimed, in an interview with Richard Dowden, that “unlike all previous governments, our writ runs in every village”. This is an exaggeration, but it is a mild one. It shows how far Ethiopia has come since the early 90s. And, for better or worse, it shows the main legacy of Meles Zenawi. Meles was a state builder, not an economist – at least not in the liberal sense. He was a great advocate of the developmental state, considering the Western capitalist model a “dead end” for Africa. And while the Ethiopian bureaucracy is still a far cry from Taiwanese efficiency, Ethiopia’s state-centred development has undoubtedly had major successes: the political stability ushered in by the EPRDF and its security forces has laid the foundation for the country’s economic upturn. The expansion and modernisation of the administrative apparatus has made Ethiopia’s economic potential more “legible” (to borrow James C. Scott’s term) for foreign investors. Large-scale health and education campaigns have reduced infant mortality, raised enrollment rates and impressed donors. And by leasing out vast tracts of land at minuscule prices to foreign companies, the government seems to have found a cost-effective way to extend its reach even to the most distant parts of the country – a sort of state building “on the cheap”. Meles did not spare with contempt for those who sought to get in the way of this developmental machine: a no-good opposition that harboured old resentments and personal grudges; Western “romantics” who believed that the rights of Ethiopia’s pastoralists trumped the growing needs of its urbanising population; human rights activists who naively glossed over the harsh political realities of a dangerous region. And so, just as roads were built to the lowlands, as universities opened in remote towns and surplus started to be extracted from the land, newspapers were shut down, opposition members arrested, and NGOs closed. That there might have been a middle road seemed beyond the point: Meles believed in sequencing (first development, then democracy), not in compromise. After all, state builders are often admired, but rarely remembered fondly – in Charles Tilly’s famous words, war making and state making are two sides of the same process, and both are little more than organised crime. 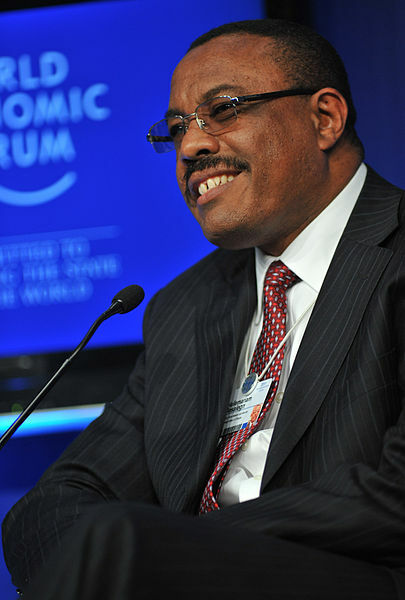 Hailemariam Desalegn at the World Economic Forum. Copyright: Creative Commons. In recent years, however, Meles seemed increasingly eager to retire from office. People close to him indicated that he wanted to end his reign as the first head of government in modern Ethiopia to hand over power in a peaceful and constitutional manner. Meles himself had declared to step down after the current legislative period, and there had been rumours that he intended to pass the baton even earlier, in order to avoid a succession struggle in the run-up to the 2015 elections. Yet his sudden and unexpected death left little time for such considerations. Instead, a relative unknown has been rushed to the Imperial Palace. As vice-prime minister and minister of foreign affairs, Hailemariam Desalegn was both close to Meles and entirely overshadowed by him. Many see him as a political lightweight, a compromise candidate and a caretaker at best, and it seems unlikely that he will wield the same range of powers as Meles. There will certainly be much jostling for positions at the next EPRDF congress, which is scheduled for January 2013. But the very things that seem to undermine Hailemariam’s standing may well turn out to be his strengths. A Wolayta, a Protestant and a relative newcomer, who was finishing his MSc in Finland when the rebels fought their final battles against Mengistu’s army, he is not burdened by the factional divisions of the TPLF, nor by the “woyane” label favoured by some of the regime’s critics. Nor is he weighed down by the frictions between the EPRDF’s Amhara and Oromo constituencies, whose vying for greater influence dominated the party’s 2010 congress. Hailemariam’s unlikely rise to power is the clearest indication yet that the EPRDF of today is not what it was in 1989, and three years are a long time for him to build up a power base. He is an experiment in a country that doesn’t really do experiments. Just imagine if it were to succeed. Those images were reminders that, unreal though it may still seem, an era has ended in the politics of Ethiopia. Unlike his predecessors, Meles leaves Ethiopians with a state whose presence can be seen and felt throughout the country, promising and terrifying at once. Let us hope that the next generation of Ethiopian leaders will allow the Ethiopian people to take possession of it.